You're never too old to rock on. 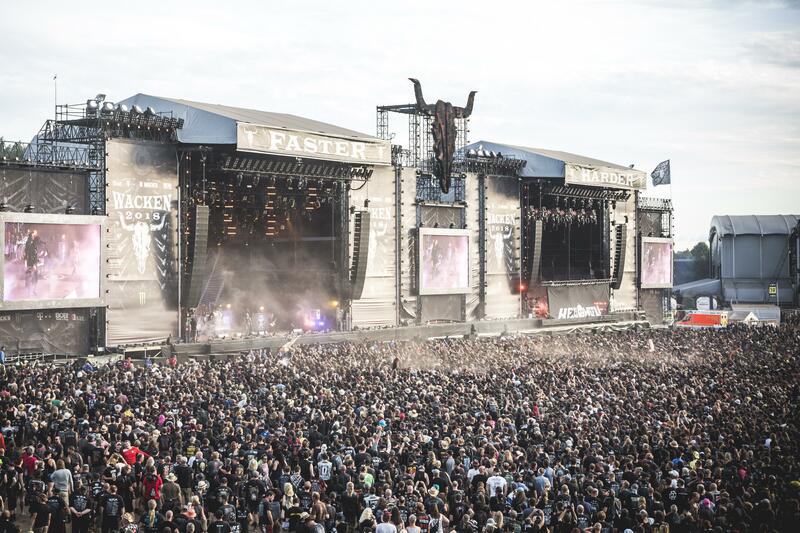 Two elderly men managed to slip away from their nursing home in Germany to attend the Wacken Open Air, the largest heavy metal festival in the world, over the weekend, authorities said. According to Itzehoe police, the pair was eventually found Friday at 3 a.m. local time at the festival after their retirement home in Dithmarscher reported them missing. Police told the Deutsche Welle the men were found "disorientated and dazed." The metalheads were apparently reluctant to leave the four-day festival in Wacken. They had to be escorted home with a taxi and a patrol car as a "precaution," police said. Festival organizers didn't specifically address the senior daredevils, but their official Twitter account made sure give a shoutout to elderly fans "because you're never too old too rock." According to Deutsche Welle, the world-renowned festival sold out with an expected attendance of 75,000 people. Headline acts included Danzig, Judas Priest, Hatebreed and In Flames. The Wacken Open Air festival in northern Germany began in 1990. Gayle King honored with Time 100 cover: "I am so humbled"
Time Magazine is revealing its list of the world’s "most influential people of 2019." Our very own "CBS This Morning" co-host Gayle King was also chosen to grace one of the covers. She is making the Time 100 list for the first time. Time editor-in-chief and CEO Edward Felsenthal joins "CBS This Morning" to reveal this year's list of honorees. Former Virginia Gov. Terry McAuliffe said Wednesday he will not be running for president in the 2020 election. McAuliffe, a former Democratic fundraiser and DNC chief, said he wants to focus on flipping his home state of Virginia. A man was arrested after trying to enter St. Patrick's Cathedral with gas cans. NYPD Deputy Commissioner John Miller briefed reporters about the arrest.